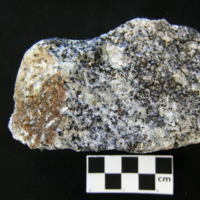 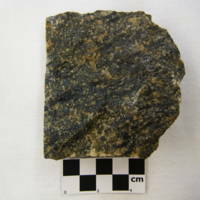 This unique rock contains white crystalline wollastonite, brown grains of andradite garnet, and green diopside. 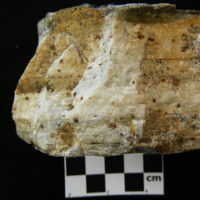 Specimens courtesy of R.R. 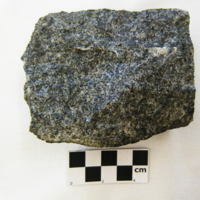 Bauer, plant manager of NYCO MInes (1980). 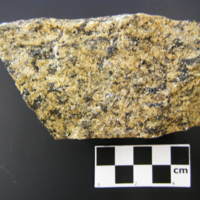 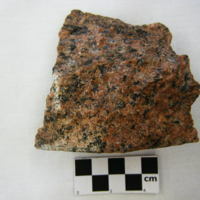 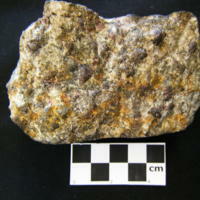 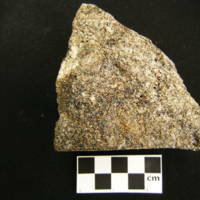 McLelland reports some grossularite in addition to andradite. 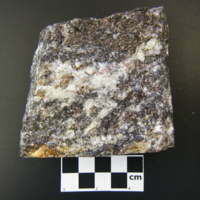 This specimen is extremely rich in sillimanite. 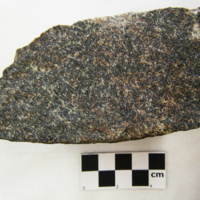 European geologists refer to such lithologies as "khondolites." 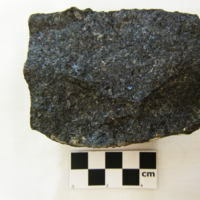 This locality is very near some of the old graphite production sites west of Hague. 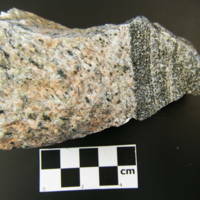 Thin section shows sillimanite, garnet, k-feldspar. 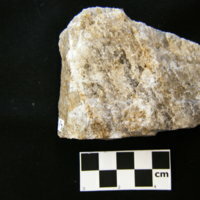 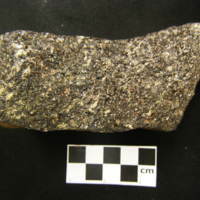 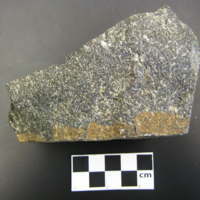 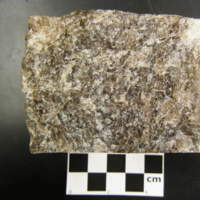 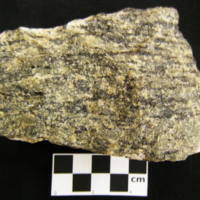 This specimen displays an unusual and distinctive lithology that occurs primarily in lower, marble-rich units (for example, the Cedar River Formation). 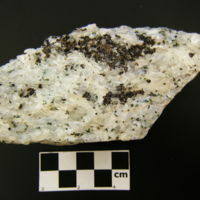 Thin section shows quartz, K-feldspar and clinopyroxene. 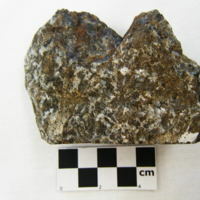 Pods and lenses of green diopsidite commonly occur along with the marbles. 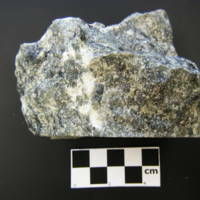 They are often composed of over 90% diopside.